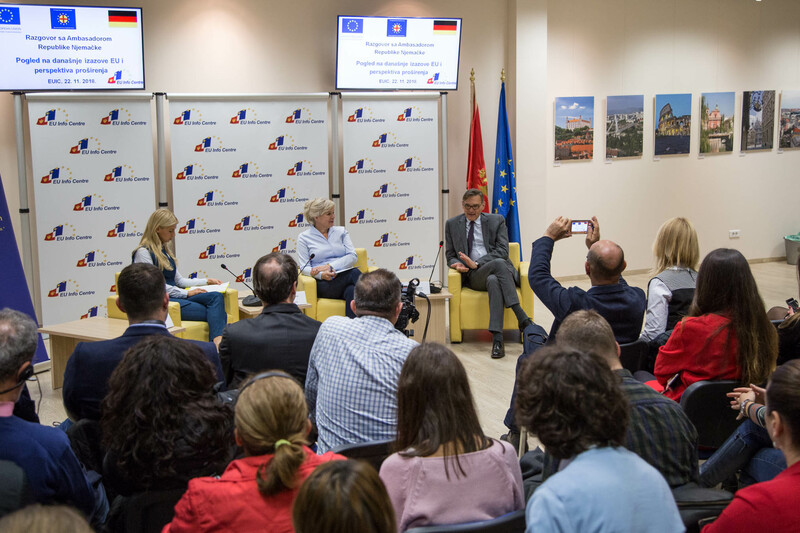 Podgorica, 23 November – The German Ambassador to Montenegro, Robert Weber, spoke on the topic “A look at today’s EU challenges and the perspective of enlargement” organised by the Montenegrin Pan-European Union and the EU Info Centre. Speaking about 2025, the year put forward by the European Commission as a potential date for enlargement, Weber said it was risky to give dates for membership, because in some ways this exaggerates expectations. He explained that if Montenegro joins the EU in 2026 this is not a failure but a great success, adding that he is an optimist on the issue of Montenegro’s accession to the EU. 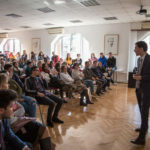 The German Ambassador recalled that chapters 23 and 24, concerning the rule of law, would be closed at the end of the process, explaining that this was a general rule, not created just for Montenegro, but generally for all countries that are entering the EU, based on previous experiences. “It gives us enough time to solve these issues, and we all know how complex they are,” Weber said. 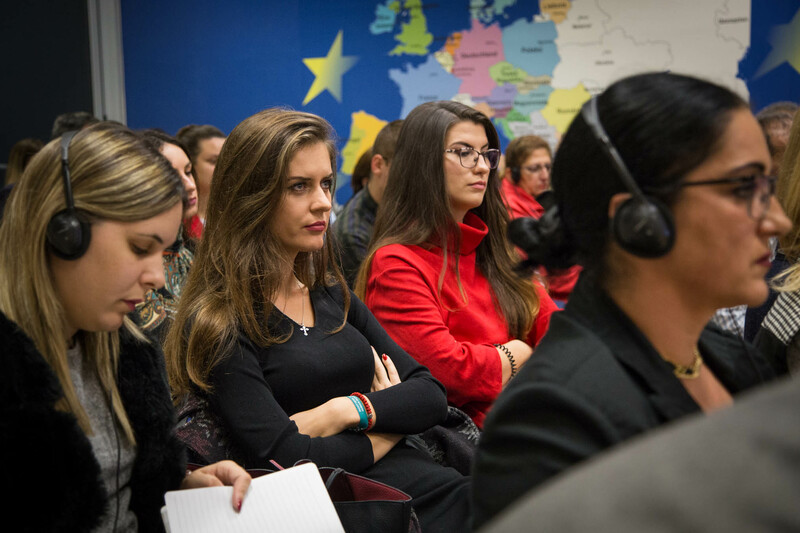 He hopes Montenegro will continue to have good results in the field of European integration. 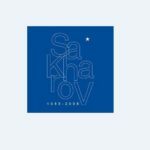 “I believe, however, that we will very soon have an intergovernmental conference along with the opening of chapter 27. I do not know anything for sure, but that’s possible. For Montenegro, it is important that both processes are active: the process of reforms and the EU enlargement process,” said Weber. As he explained, it is important to maintain the regatta principle, in which every country that is striving to become a member of the EU is assessed individually and on its own merits. The German Ambassador pointed out that this is not only is a fair approach, but also makes it impossible for those who are not performing to stop those that are performing. Weber once again reminded that the key to accession is in the hands of the member states and candidate countries and that everyone must fulfil their obligations. “In that sense, if you look at Montenegro’s road towards the EU, there have been some shortcomings and problems to be addressed, but there have been no bilateral problems with other countries and Montenegro has not been a hostage of such problems,” said Weber. 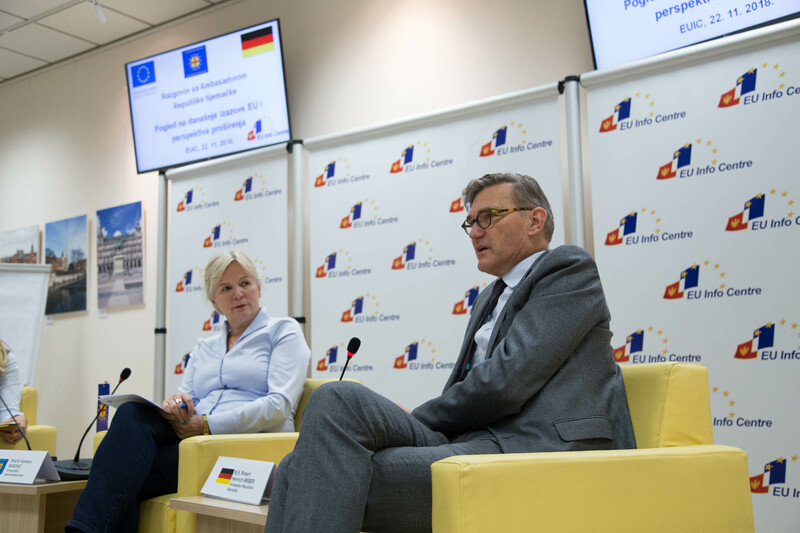 The German Ambassador spoke about the current issues in the European Union, Brexit, migrations and the EU budget. He spoke about a potential budget for the Eurozone proposed by France, saying that the Germans are very cautious about this idea, but are also open to negotiations. He also recalled that Europe has become more diversified and that France and Germany do not decide on their own, although their cooperation is extremely important for the European Union. Weber said that Europe is awaiting elections and faces fears regarding the growth of Euro-sceptic forces. He does not believe that the issue of EU enlargement will be particularly prominent during the election, even from pro-European political parties.